HIGH POINT, N.C., Oct. 4, 2016 – On Sunday afternoons, Mylene Toledo tells her two children it’s time to go. Dominic and Isabella never hesitate because they know exactly what those words mean. They rush upstairs to change, then grab a drink and a gym bag before jumping in the car. On other days, Toledo might have to prompt her children to get their things ready to leave the house. But on Sundays, they go to TOPSoccer at High Point University, and there’s no need. She can see their excitement for the program in their actions. TOPSoccer is a community-based soccer program that is designed to meet the needs of children with physical and/or intellectual disabilities. The program is intended to improve the overall fitness, self-esteem and social skills of children ages 4-18 years old. 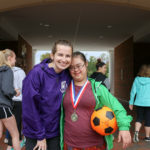 For its second year, High Point University’s School of Education is hosting the TOPSoccer outreach program. The soccer program is held every Sunday for six weeks at Vert Stadium, with the final meeting from 1:30 p.m. to 2:30 p.m. on Oct. 9. Toledo was introduced to TOPSoccer by her son’s teacher at Ragsdale High School. 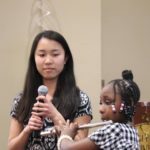 In describing their new Sunday ritual, Toledo says that the program has been a positive experience for her children. Toledo says that the program allows her kids to get great exercise while also learning soccer skills from the seasoned athletes who help them feel accepted and safe. 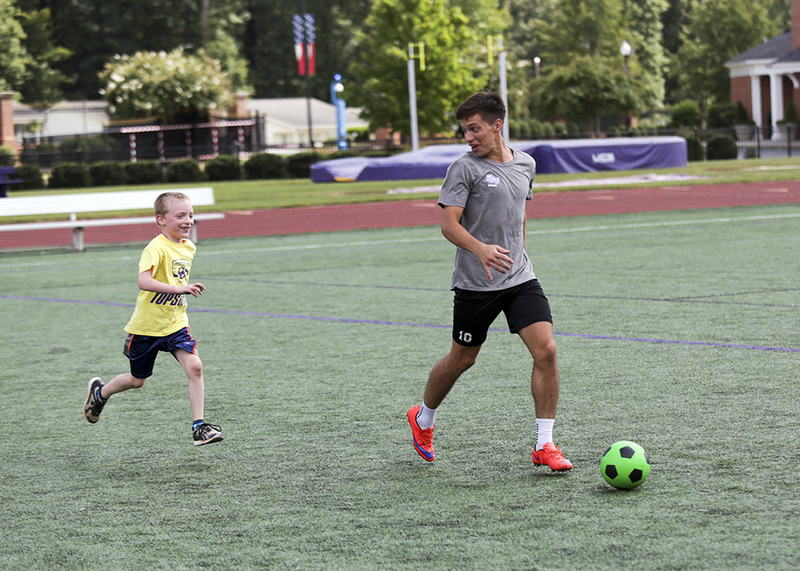 HPU senior Renato Punyed (right), a member of the men’s soccer team, works with 7-year-old TOPSoccer participant David Robbins. 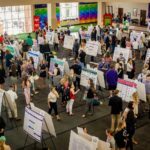 Dr. Rick Overstreet, coordinator of physical education activity courses in the School of Education, started the program last year and says that it has grown significantly in its second year. 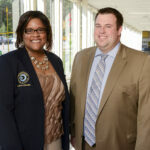 Overstreet says that volunteers currently come from the men’s and women’s soccer teams, women’s lacrosse team, men’s cross-country team, students in the Teachers of Tomorrow club, those in the physical therapy club, students in Alpha Omega Phi service fraternity and students majoring in special education, elementary education and health and PE. Senior Renato Punyed, a member of the men’s soccer team, says that above all, he loves seeing the kids’ excitement as they score a goal, race against one of the volunteers or when they are simply having fun. Punyed says that this is an experience he wishes to continue throughout his time in High Point because he knows it will stay with him for the rest of his life. 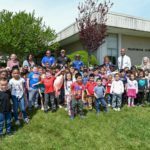 He encourages more people and athletes to come out on Sundays and lend a hand, not only because it will benefit them, but it will have a tremendous impact on the kids. 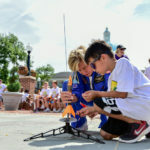 The TOPSoccer program is free for participants, and the final meeting on Oct. 9 will include the usual soccer skills workshop followed by a time of celebration with the HPU ice cream truck.